Sauté, onions in the peanut oil for 10 minutes. Stir in garlic, ginger, and spices. Continue to sauté, stirring constantly for about 3 minutes. Add the zucchini through dried apricots. Cover the pan and simmer for 30 minutes, stirring every 10 minutes to prevent sticking. When the vegetables and apples are tender, stir in raisins and apricot preserve. Stir in 1 tbsp lemon juice and salt to taste. 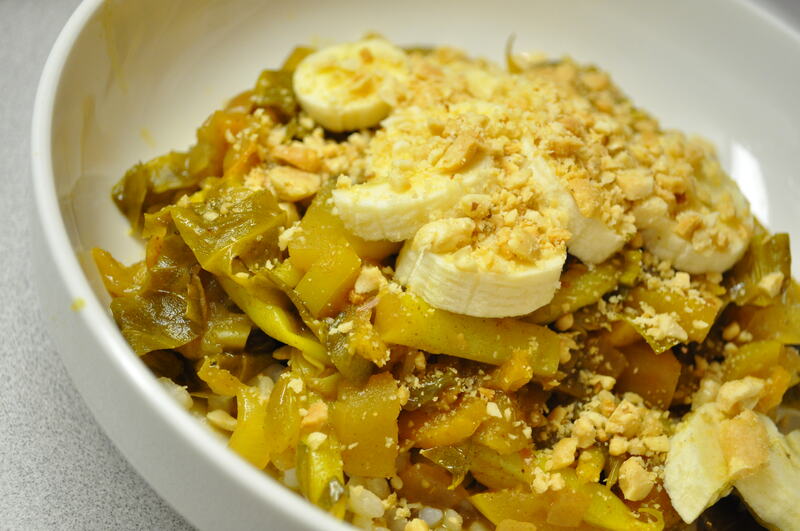 Serve on a bed of brown rice, topped with peanuts and sliced bananas. This is a fabulous recipe to use leftover roasted turkey or chicken. The base recipe comes from a good friend of mine, Ellen. Serve topped with sour cream, crushed tortilla chips, shredded cheddar cheese and with your favorite cornbread. Heat extra virgin olive oil over medium-high heat in a large stock pot. Saute onions, carrots and garlic, stirring frequently until golden – about 10-15 minutes. Add tomatoes through oregano. Shortly after, add chicken broth. Bring mixture to a boil, reduce heat and simmer for 15 minutes. Add collard greens through turkey. Bring back to a boil, and simmer for another 15 minutes, or until the collard greens are tender. Serve hot, topped with a dollop of light sour cream, shredded cheddar cheese, and crushed tortilla chips. 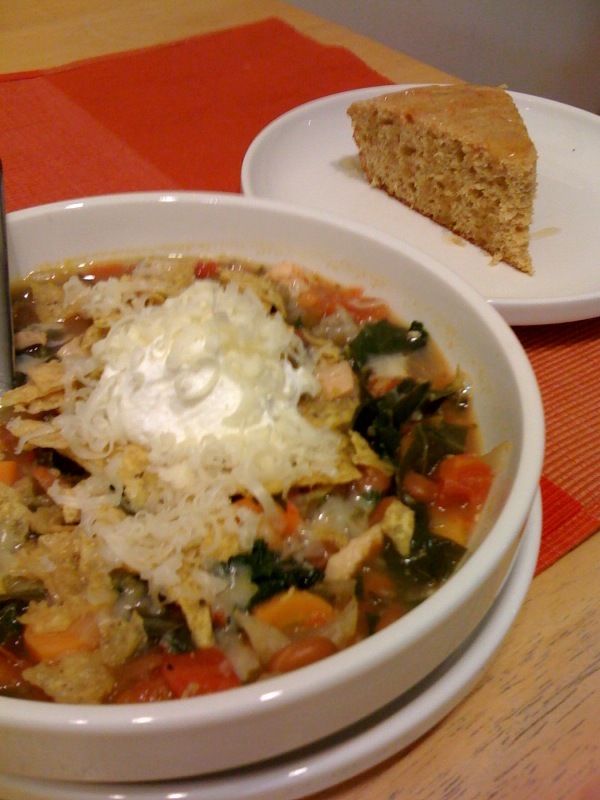 This recipe is adapted from Tilghman Island Stew in Moosewood Restaurant New Classics Cookbook. Serve with Lemon Thyme Biscuits. In a large stock pot, heat oil over medium heat. Add the onions and saute until translucent, about 5 minutes. Add the garlic, bay leaves, and thyme; then cover and cook for about 5 minutes, stirring occasionally. (If necessary to prevent sticking, add 1/4 cup water or stock.) Add Old Bay Seasoning and cook for 5 minutes. Add the tomatoes, butternut squash, potatoes, water and vegetable stock. Increase heat to boil. Stir in collard greens and green beans. 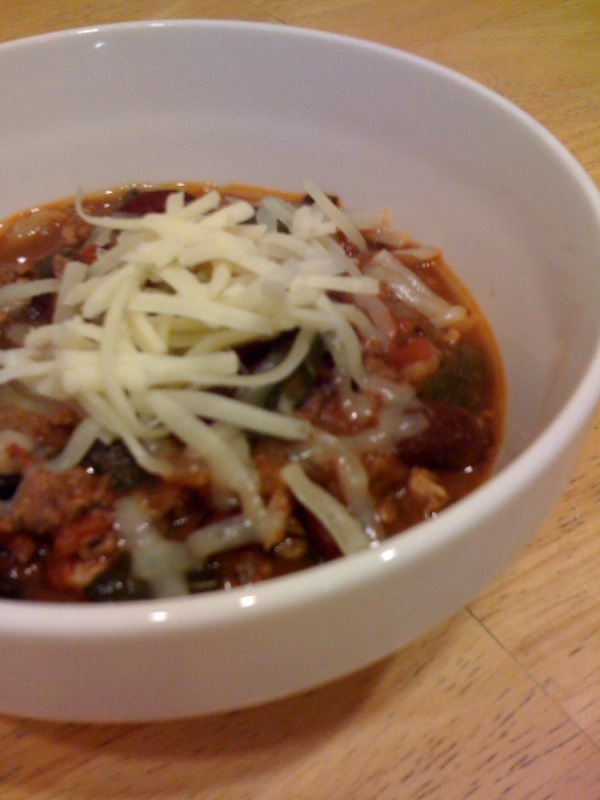 Reduce heat to simmer, and cook until green beans are just tender (about 5-10 minutes). Add the bok choy, bell peppers, and zucchini. Cook for another 5-10 minutes, until all the vegetables are tender. Stir in the soy sauce and lemon juice. Add salt and pepper to taste. Remove and discard bay leaves. Serve topped with freshly grated parmesan cheese and with Lemon Thyme Biscuits.